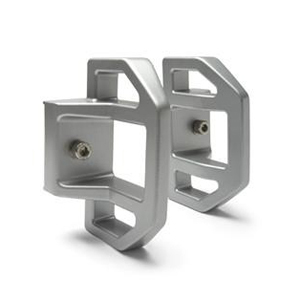 Safely secure your off-road vehicle to this Pickup Bed Motorcycle Wheel Chock designed specifically for your vehicle. It mounts to the factory installed rails located at the front of the truck bed behind the cab. 500 lb. load capacity.